When it comes to the combative arts consistency is key. Consistency leads to predictable results. Apply the fundamentals of marksmanship – obtain the sight picture you need, press the trigger smoothly, and follow through, preparing to shoot again if necessary – and the results are accurate hits on target. Proper technique for reloading or clearing malfunctions allows us to perform these actions efficiently. Consistency is also crucial when it comes to your pistol, or other weapons. Having a pistol that works every time, fits your hand, and has a good trigger and a set of sights you can see is mandatory. Once you determine what works put together another one just like it. 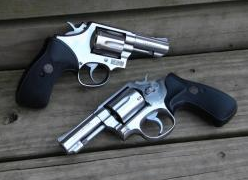 Having two of the same handgun may seem like overkill but it’s really a matter of being prepared. Your pistol breaks, requiring you to send it back to the factory for repairs, which sometimes takes longer than we would like. 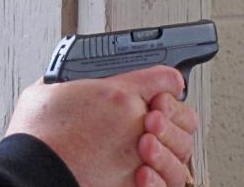 Doing without your favorite handgun may be just an inconvenience for training and practice. However, if you are forced to fight not having your pistol could diminish your capabilities. In a fight we need every advantage possible. As long as you’re familiar with how to operate it you can fight with any weapon, but using the one you’re most familiar and intimate with means better performance. More importantly fighting with your weapon creates confidence, which is essential to success in combat. Should it be necessary to fight then your pistol will be taken away until legal proceedings are completed, which could be several years. Having another pistol just like you’re the one you’ve given up equips you for any possible future situations, and mentally it’s a great comfort to have the “same” weapon ready on the hip. I would much rather own a pair twin pistols than three completely different handguns. Redundancy means one consistent set of finely honed skills and commonality between gear. The sights and triggers are the very same, mags and holsters are interchangeable, they use one caliber of ammo and I can swap out parts. This simplifies life and fighting. I’m not saying you shouldn’t own different style pistols, and you definitely need to be able to grab up any type firearm and fight with it. What I am saying, and there is no debating this, for fighting you will do best by sticking to one type weapon. Victory is based on results, and you get the best results by doing the same thing, over and over, very well. Mid to large caliber pistols with small frames, short barrels, and grips that are reduced in length are easy to carry, especially in a concealed location. That’s an advantage. But, as with all things, there are disadvantages you should considered. These compact pistols can be difficult to operate properly. Notice I said can be; some people can operate them efficiently. The majority of people, when there is an option, would be better off carrying a mid to full size pistol as opposed to the compact versions. Compact pistols are difficult to manipulate. When it comes to manipulating smaller weapons – loading, unloading, which we do a lot of, reloading, and clearing malfunctions, which are sometimes necessary – are difficult to perform properly, especially if you have large hands. It’s common to see those larger hands covering ejection ports, creating stoppages. Large hands also mean you have to modify your grip to allow the magazine to drop free during empty reloads, since the bottom of the palm is actually covering the mag’s base. The grip has to be opened up to seat the mag as well, otherwise it won’t seat, and you can get a good bit of your hand pinched between the mag and mag well of the pistol. As a matter of fact people with smaller hands have problem as well due to the fact that the recoil springs are stiffer, requiring more strength to cycle the slide aggressively. 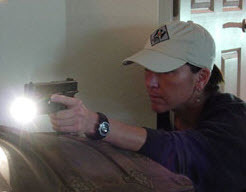 The short sight radius, the distance between the front and rear sight, of compact pistols can make it difficult to shoot accurately. For most situations, where the fight takes place close and quick, this shouldn’t present a problem. If you’re forced to make a shot from extended distances, or at a small portion of the target, a longer sight radius makes those shoots easier to accomplish. Compact pistols are lighter weight, which means more recoil, and that increases the time between shots. This is especially true for newer shooters who have not had the time to get their grip, stance, and that type stuff squared away yet. 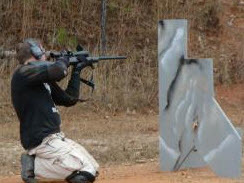 In a fight the lower the split time between shots, as always only shooting at the speed that places your rounds in the proper location, the quicker we stop the threat. As Jeff Cooper said, a fighting pistol must fit your hand properly, in addition to having a crisp trigger and sights you can see. The only way to determine whether your pistol fits you or not is through intensive training and practice, working on the fundamentals of marksmanship and manipulations, over and over again. If you discover the size of your pistol if keeping you from performing these skills properly, then you should get another weapon, regardless of who gave you the small pistol, what type sentimental value it has or what brand it is. When forced to use your weapon to defend against a violent attacker, none of these things will matter. Get a pistol that fits your hand. Work with it until it becomes a natural extension of your body and mind. This is the way to defeat your threat. Recently a student of mine sent me a copy of “The Snubby Revolver,” by Ed Lovette. Readying through this book reminded me why I carry and practice with the short barrel revolvers. I’ve carried snub-nose revolvers for over thirty years now. I grew up shooting Colt and S&W .38 specials, but grew to prefer the S&W’s since they are consistent with my other larger frame wheel guns. I carry the snub-nose because often it’s the perfect weapon. For example I regularly have a .38 on my ankle as a back-up weapon, and of course you never know when your “back-up” pistol becomes your primary due to location. When crunched up on the ground in the fetal position the pistol on your ankle may be a lot easier to get to than the larger weapon on your side. 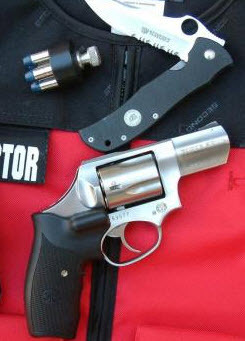 Revolvers are good for extreme close quarters conflicts, distances so close the muzzle is jammed into the chest of the threat. This doesn’t work well with a semi-auto because once the slide is pushed out of battery it ain’t gonna go bang when you press the trigger. I also like the smaller pistol because there’s less sticking out there for the threat to take hold of. The five inch 1911 I carry on my side has a lot of slide for someone to grab during a disarm attempt. With any pistol, especially revolvers, you want to make sure the pistol fits your hand, has a set of sights that work for your eyes, and a smooth, crisp, trigger. The beauty of revolvers is that you can install the grip size that fits your hand. As Lovette mentions in his book, when gripping the pistol – I grip mine fairly high up on the backstrap – the finger should be positioned on the trigger almost into the first joint of the finger, allowing you to press the trigger smoothly without having to reposition your hand. Most revolvers will need work done on the trigger to get a smooth and crisp double action, just make sure to have an expert perform the work. I’ve seen a lot of lightweight trigger jobs that didn’t strike the primer hard enough to fire the cartridge. For years getting a good front sight on the snub-nose was hard to do, but now the guys at XS Sights have that covered. Plus Crimson Trace has plenty of grips with lasers, which I think is a good addition to a weapon being carried for close distance fighting. Obtaining an ideal fighting position and the accompanying sight-picture may not be an option, and this is where lasers truly shine. 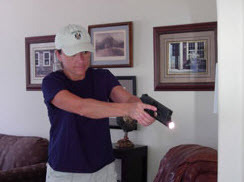 If you decide to carry a small pistol, then practice with it. Carrying a snub-nose in a pocket holster but practicing with a full size semi-auto on the belt isn’t going to translate well when it comes to fighting for your life. Carry, practice, and fight accordingly. Fighting is problem solving at high speeds. You’re presented with a problem. You have to come up with a solution to that problem, and then apply those actions. In most confrontations this process requires making split second decisions. The ability to make sound decisions instantly over short spans of time is discussed in detail in Malcolm Gladwell’s book “blink,” which I highly recommend. According to Gladwell, making split second decisions, based on what initially may appear to be a limited amount of information, occurs in a part of the brain called the adaptive unconscious. This part of your brain is “a kind of giant computer that quickly and quietly processes a lot of the data we need in order to keep functioning as human beings.” While normally we like to have as much information as possible before make a choice, when dealing with a lethal threat ability to make decisions instantly is a matter of life and death. “blink” explains how this process works, how to develop and control this skill, and when to trust these decisions as opposed to a different decision process. The more familiar with are with a situation, the more likely we are to come up with the correct decision under stress. So how do we become familiar with violent situations without it being on the job experience? One of the easier and most efficient ways is mental imagery training, which is basically sitting down somewhere quiet and then imagining being involved in a violent confrontation. You are attacked. You create distance, drawing your weapon and engage the threat. The more realism you can instill in this scenario the more valuable it is for preparing you for an actual confrontation. Another way to work in realistic practice is force-on-force training, using simunition or airsoft weapons, and running through scripted scenarios with some partners. This is about as close to actual fighting as you can get. Familiarizing yourself with other types of confrontations, such as contact martial arts, is another way of getting use to stress and conflict. The more you become acquainted with violence the less chance there is that you’ll end up making an incorrect decision under stress. By understanding confrontations you have the ability to think, consider options, and then solve your problem. If all you know how to do is shoot, that kind of narrows down your options. When you know how to watch for danger, create distance, move to cover, and that the threat may respond to your verbal commands you have more choices. Remember that fighting is ninety-five percent mental. Your ultimate weapon is your mind, and your need to train it just like your body. The decision is yours. Choose to be ready. We are visually oriented creatures, with eyes in the front of our head. We rely on our vision to inform us on what is happening in our environment; 90% of our environmental awareness is gained through sight. We need to visually assess a situation in order to determine what our response should be. The problem is our natural instinct to intensely focus on the source of trouble. Our field of focus narrows, mentally and visually, concentrating on the immediate danger. To fight effectively, especially with firearms, you must train and practice to overcome this natural reaction. You’re walking through a parking lot when you cue in on possible trouble. You keep an eye on the potential threat, but at the same time you need to be looking for an escape route and objects you can use for cover. You also should be scanning for other threats, because as Clint Smith says, “Bad guys travel in packs.” And not all the bad guys are dumb, so they may not all be bunched together. Check your flanks and rear for accomplices. Maybe the situation degrades to the point that you must shoot to stop the threat. You’ll probably be armed with your pistol, which has iron sights, so you have to shift your visual focus from the threat to the front sight, to the degree necessary required to make the hits. While firing, although focused on the sight, we still have maintain awareness of our environment. What are the people around us doing? Pay attention to any other possible threats that may be present. If there are bystanders in the area you must keep an eye on them as well. You don’t want to injure someone who decides to run between you and the threat while you’re shooting. And yes, this does happen. Once the threat is down or gone, you’re moving and scanning for other threats. Remember every time you take a step, moving to cover, creating distance, or withdrawing from the area, you’re point of view is changing – in a 360 degree arc. Your head should be on a swivel, with the eyes quickly scanning anywhere that could contain a threat. Our visual skills, just like any other fighting skill, can be improved with practice. For example you can look at one object, and still pay attention to your peripheral vision. It’s like those 3-D pictures, where you have to un-focus your eyes to actually see the object in the pattern. By looking at nothing, I see everything. It’s also important to pay attention to reflective surfaces. Next time you’re out somewhere, look at all the shiny stuff around you and you’ll be amazed at what all you can see without even turning your head. Personal protection is an individual responsibility. Although a lot of people don’t want to hear this, it applies to everyone. If you are an armed citizen you have to realize that the police will probably arrive after the violence at your home is over. Law enforcement officers need to recognize that the training and practice they receive from their department is probably not enough to prepare them for fight with a violent suspect on a dark deserted road. I can’t tell you how many times I’ve heard citizens ask why they should get training when they have “been shooting all their life.” Protecting yourself and your family is a big responsibility, and there is a world of difference between shooting and fighting. And even if you do get training, you still need to consider the other members of your family? If you are on the ground getting kicked in the head, it would be a good idea for another member of your family to be able to assist you. If a problem occurs in your home, you need emergency procedures in place for everyone in the house, especially kids. At some point in time you’ll need to teach your kids that there are really bad people out there, and explain to them what they need to do in a time of trouble. And then, you need to practice with them so they know exactly how to react. For those of you who are in law enforcement these same things apply. There are more and more reports of officers’ homes’ being attacked. It’s your responsibility to prepare for that possibility. On the street, remember that every situation there is a possibility of trouble. So don’t be lulled into a sense of false security because you had training in the academy, and you qualify one or two times a year. Qualification courses don’t prepare you for a fight, they satisfy your department’s liability issues. Unless your department has an active and aggressive training program you’ll have to spend your own time and money to get the necessary training to be able to fight effectively. Then remember you’ll have to practice to actually learn those skills. Regardless of who you are, staying aware of your environment is the key to avoiding trouble, or winning the fight. 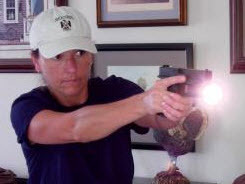 Awareness allows the armed citizen to spot something that looks wrong, then leave that area before you become involved in a violent situation. For the armed professional being aware of your environment provides you with the necessary information to formulate a response in advance. No matter what the situation, always have a plan A, B, C, and plan X for the unexpected. Winning a fight, whether it’s through avoidance, escape, or responding with overwhelming force, is all about thinking. As our country suffers more economic hardship, which seems to be the direction we’re heading, violent crime is going to rise. I might be wrong, but it’s better to expect it and be ready, as opposed to needing to fight without being prepared. You enter a room, and six feet away from you are three threats. One has a knife, one is holding a pistol, and another with a carbine. Which one do you respond to first? Most people will carefully consider the weapons the threats are armed with. At a distance of six feet a knife is just as dangerous as the pistol and rifle. Each of these weapons can put the hurt on you, quickly, so they all represent an equal threat value. Who will you respond to first? The answer is whichever threat begins to initiate action against you. The key is to remember you are fighting the person, not the weapon. Without anyone to operate it a weapon is just a hunk of metal. This doesn’t mean we don’t need to consider the weapon, but our real enemy is the person and their skills. Some people are fighters, you can arm them with a wooden pencil, throw them into a room full of bad guys, and they’ll be the one to come out the other side. There are other people that it won’t matter what type weapons they are equipped with, they won’t win the fight. The difference is in the mental and physical capabilities of the person. One problem when evaluating a threat is that we tend to judge people by what we think their intentions are, as opposed to what their capabilities are. A smart threat, and there are plenty of them out there, will not telegraph their intentions until they have their prey where they want them. We have to constantly be alert and watching people around us for suspicious behavior that may indicate possible trouble. That way we avoid being surprised, which makes it difficult to win the fight. Anyone can be dangerous. An eight-year old child to an eighty-year old grandmother is capable of presenting us with a problem. It could be a stranger, but our threat may be someone we know, even a friend or family member. And they don’t have to be armed or big to be dangerous; I’ve seen four adults struggle to physically control a sixty-pound child. Also remember that having the home field advantage can be a factor. If your threat knows the terrain and you don’t they have an advantage. This means in addition to watching the people around you it’s important to pay attention to the surrounding environment, constantly scanning and identifying objects that could be used as cover or the direction that provides you with an avenue of escape. Evaluating a threat is about much more than just determining what type weapon they are armed with. Fighting is a mental process, and if you’re not thinking then you’re always behind in the fight. As Jeff Cooper was fond of saying, the key to winning the fight it to know there’s going to be one before it ever starts. The main reason some people attack other people – barring mental instability – is because they think they can get away with it. As Clint Smith says, “if you look like food, you’ll get eaten.” We volunteer to be food by not being aware of our surroundings, and telling predators through nonverbal communication, body language, that are an easy victim. To avoid being a ‘target’ we present body language that says we’re confident and prepared, plus maintain awareness, using our senses to monitor our environment. If forced to fight we counterattack using speed and aggressive actions. We win the fight by forcing our opponent(s) to decide that we’re not the victims they expected, or by gaining compliance through gunfire, inflicting enough physical damage that they can’t continue to fight. Body language is critical to not appearing as food. Keep your spine erect, shoulders back, eyes up, and walk with confidence. Shuffling along with your head down, shoulders drooping, and feet scuffing the ground, tells predators you are already beaten, you’re just looking for someone to finish you off. When it comes to body language, speak confidently. Use your senses to maintain awareness of your environment. Keep your eyes up, constantly scanning. While scanning, don’t look to make sure everything is alright. This will cause you to miss something important. Get into the habit looking for something out of place, a sign that something is not right. I see possible trouble, and begin formulating my response in advance. Pay attention to your other senses as well. Being visually oriented creatures, we sometimes fail to pay attention to our other senses. You’re walking in a parking lot at night when you hear someone running behind you. Look to see who it is and what they are doing. Don’t let yourself be surprised you something you should have noticed. When forced to fight, we immediately respond with aggressive actions. Remember, the attacker isn’t expecting you to fight back. Speed, aggression, and surprise are important tactics. “I knew this could happen,” you say to yourself, “and I have the skills to solve this problem.” There is no time to freeze up or hesitate, and submitting is not an option. By fighting back you may be injured, but we know from recent events that curling up in the fetal position and hoping nothing happens doesn’t work out well. A couple words of advice: Don’t overestimate your abilities, and never underestimate your threat(s). These two things will put you in the hurt locker quickly. Practice and improve your skills, planning for the worst case scenario. Stay alert. Judge people on what their capabilities may be, not what you think their intentions are. When it’s time to fight, think, and make a decision, and respond immediately with aggressive actions. Make the threat(s) respond to your actions, instead of constantly responding to what’s being done to you. Think about it this way – once the fight starts, you become the predator. Surprise! Once you choose to carry a weapon, especially a firearm, you assume the responsibilities that go along with making the decision to own, carry, and if necessary use that weapon. Firearms provide a means of defense against what might otherwise be overwhelming threats. An armed individual can control their environment and people it contains. A firearm can be used for good, it can be used with good intentions but create disastrous results, or it may be a tool employed by evil. For those who lawfully carry a weapon one of the biggest decisions you’ll likely be forced to make is when to press the trigger. There are times when the decision is obvious; you need to shoot now to stop the threat. But there are a many situations where there is a lot of gray between “don’t shoot” and “shoot!” Your task is to decide where that line in the sand is, and when it is crossed you must commit fully with legal and moral right. When you press that trigger that you are making history. There is no pause, stop or delete button. It’s over and done, for good or bad. It’s important to make sure it’s good. A good shot is a hit that stops the threat, although we know it may take several good hits to stop them. A good shot is one that doesn’t injure a bystander or team member. A good shot is one that doesn’t bounce off cover and injure you. After the action, when you and others review what transpired, a good shot is one that you are proud of. A good shot takes plenty of thought, making decisions when all kinds of hell are breaking loose around you. To make a good shot under stress requires making thousands of excellent shots during practice. When you press the trigger without practice, under realistic conditions, you’re hoping you’ll get lucky. You won’t know what will be necessary to make the hit. Each situation is different. The problem is there is only one way to get a good hit, but there are a million ways to screw it up. During the fight is not the time to hope you get lucky, or try to remember the fundamentals of marksmanship. 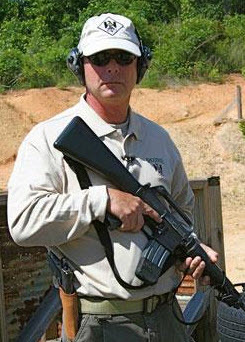 “Accuracy is the base for a practical pistol education,” states Plaxco in Shooting From Within. He adds that, “An inability to fire an accurate shot on demand will hold you back in mastering every other skill you need to acquire.” While his book focuses on competition, the same thing is true of fighting. Firing your weapon only requires a slight movement of your trigger finger, but it may be the most important action you’ll ever perform. When you press the trigger, you’re making history. Remember this for every shot you fire. Make sure you can get the hit, regardless of how it has to be done. You may only have one chance to get it right, and lives will depend on the execution of proper technique. The only option is to be ready. Ask most people who carry a weapon, even law enforcement officers, if they carry a back-up weapon and you’ll either get a puzzled look or a negative response. We would never think of leaving on a trip without a spare tire, yet the majority of those who carry a pistol have probably never considered the need, or application, of a second firearm. If you are using your pistol you are in a life or death struggle. Losing is not an option. Suddenly your pistol stops functioning. If you’ve practiced enough in advance you’ll run a malfunction clearance. Except in this case it’s not a malfunction, which is something you can fix, but a jam or breakage. The only thing your pistol is good for now is an impact instrument. Pistols are mechanical devices, and anything mechanical can break or fail. With a back-up weapon you have the option of transitioning to a working pistol, continue to fight, and press on to victory. Access is another issue. In a fight we need every advantage we can gain. 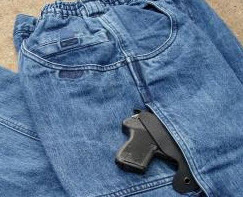 A pistol on your ankle may be easier to get to than the one on your waist, especially when you’re curled up in the fetal position trying to protect your head from gettin’ booted. Having a secondary weapon, located in an alternative location, can be a huge advantage. Your backup weapon becomes your primary because of access. Then, when you have time, you might consider transitioning to your other weapon, which is probably better suited for fighting. Another advantage of having two weapons is that I can loan my wife, friend, or partner a pistol if needed. If they start the fight but have weapon problems they can be armed with your backup weapon. Being able to arm an unarmed partner provides you with an exponential increase in combat effectiveness. Having a spare weapon provides tactical “flexibility,” which means you have more options. 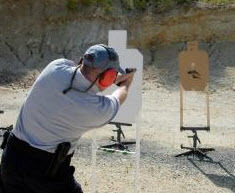 Learning to work effectively with multiple weapons requires more training and practice than just having a single pistol. You have to reprogram responses to take advantage of the additional weapon. Which pistol is quicker to get to according to your body position? When your primary runs empty is it quicker to transition to your secondary weapon? What about if you have a malfunction? If you start the fight using your secondary weapon, then it stops working, how do you transition to your primary weapon? All of these things need to be determined in advance, with plenty of practice to develop the skills necessary to take full advantage of having two pistols. When the fight comes you have to be ready. There is no time for debate, you can’t afford to make a mistake, and it’s certainly not time to be trying something new. You need every advantage you can get. Two pistols are a good place to start.